I AM WRITING primarily of the present, but of attitudes toward the American past in the present and of how these attitudes have undergone some significant changes. I am particularly concerned with the relatively recent inversion of traditional myths and especially the shift from collective innocence toward collective guilt. For perspective on the extent of change and its relative recency we do not have to go back very far. Samuel Flagg Bemis was somewhat more restrained about the present century, but for what he called “the great and happy success" of the 19th century, words all but failed him: “Oh, wondrous century, so fortuitously fortunate for our nation! Oh, happy, golden, bygone years of safety, in lucky innocence, apart from the world around us!” The Union had to be preserved at a cost, to be sure, but to my old colleague Professor Bemis, “the greatest achievement of American nationality was expansion of the nation across the empty continent to the shores of the ‘other ocean.’ It established the territorial basis of the United States as a world power and a bastion of freedom today . . . expansively perfected by peaceful diplomacy between 1783 and 1867”—one great succession of peaceful real estate transactions—save for the Mexican lapse. I do not cite these professions of faith and pride in the national past to illustrate or characterize the views of the historians. I quote them, of course, out of context. Each of them was capable of more sophisticated views of the past and the present, and we are indebted to all of them for critical assessments and interpretations of the aspects of American history in which they specialized. The more remarkable then, that all of them should have given voice to the myth of innocence of the American past. It would be possible to adduce other voices in support of the myth, but few more faithful to the tradition that extends back to George Bancroft and far beyond to the first chroniclers. Friendly critics there were, even then, to remind us of the moral risks of combining pretensions of innocency with unprecedented power and wealth. Reinhold Niebuhr warned of “ironic perils which compound the experiences of Babylon and Israel.” Others spoke of “The Illusion of American Omnipotence” and of “The Arrogance of Power.” They cautioned that the legend of American invincibility did not guarantee that all wars ended in victory, and that great power could not be wielded without incurring guilt. These admonitions may have had some impact on policy. But with a few exceptions the legend of an essentially innocent past held intact, Exceptions will be noted later. The remarkable thing is the degree to which the myth of Adamic innocency held together until it was in danger of being overwhelmed by a spreading conviction of national guilt. The appreciating supply of historic guilt for the new market results not so much from revision of history or from new historic evidence as from the transposition of symbols and the inversion of myths. The new image of the past sometimes replaces the ethnocentrism of the mythmakers with that of its victims. Thus “discovery” of the New World becomes “invasion” thereof; “settlement” becomes “conquest,” and Europeans the “savages.” The “Virgin Land” becomes the “Widowed Land,” the “howling wilderness” a desecrated Indian “hunting park.” The “Garden of the World” becomes a “Waste Land,” ravaged home of exterminated or endangered species. Professor Bemis’s “empty continent” teems with outraged and betrayed First Americans. The advancement of the Western frontier is sometimes pictured as a species of genocide, wave on wave of holocausts, One symbol that has been proposed to stand for the West so won is “A Pyramid of Skulls,” Tartar model. ONE OF THE ironies of the story is that the major burden of historic guilt was incurred in the age of innocence. Instead of ignoring the crimes, however, Americans of the earlier era often attacked and exposed them—not usually as collective guilt, but as the transgressions of individuals, groups, classes, sections—evils and injustices that threatened innocence and were to be corrected, punished, reformed, abolished. Slavery was the crime of Southern slaveholders, injustice to Indians the fault of frontiersmen or their agents and influence. And so, with whatever justice or accuracy, specific evils were assigned to culprits such as Indian-haters, lords of the lash, lords of the loom, political bosses, big business, jingoes, “merchants of death,” and “economic royalists.” Guilt was something to be redressed, and its exposers looked to the future for expiation. The American jeremiad, as Sacvan Berkovitch tells us, both laments an apostasy and heralds a restoration. The new guilt is different. It is something congenital, inherent, intrinsic, collective, something possibly inexpiable, and probably ineradicable. The first English settlers, south as well as north, arrived with it in their hearts, and they never should have come in the first place. Invasion was their initial offense. The pattern of collective rapacity and inhuman cruelty to darker peoples that characterized their westward conquests to the Pacific shores and on across the ocean ever westward through Asia is seen as existing from the very outset. From this point of view the line of precedents stretched from the slaughter of braves in the Pequot War of 1637 on for three centuries and more to Lieutenant Galley at My Lai, with little more than changes in the technology of annihilation. Thus interpreted, American history becomes primarily a history of oppression, and the focus is upon the oppressed. The latter vary in color or identity as the center of interest shifts from one of these groups to another. The most conspicuous among them of late have been the Afro-Americans, though popular concern with their grievances has not been unwavering and they have had to share attention from time to time with other groups. The primary objective in all this would not seem to be so much the exposure of evil or the identification of transgressors as it is an oblique exercise in the analysis of national character. And yet “national” seems too comprehensive a word to be employed in its customary sense in this connection, for the characterizations are racially assigned or circumscribed, even though directed at the dominant or majority group. A favored characterization, often quoted and sometimes misused, is a famous definition of “the myth of the essential white America” by D. H. Lawrence, published in 1923, “The essential American soul,” he writes, “is hard, isolate, stoic, and a killer. It has never yet melted. . . . This is the very intrinsic-most American. He is at the core of all the other flux and fluff”—such as love and democracy and equality. The exercise of defining national (or racial) character in terms of guilt attributes takes on some peculiar traits in the American instance. It might be called, in a sense, unilateral. In most instances, that is, the guilt is to all appearances unshared, the offenses incurring it unprovoked, unique, and confined to the dominant group. If other nations have perpetrated comparable or worse offenses against their native population, black slaves and freedmen, racial minorities, neighboring countries, or remote Asian or African cultures, the opportunities for perspective by comparing the magnitude of the offenses and the number of casualties are passed over. Those American offenses that were confined to intraracial conflict also go unremarked. That more American casualties were sustained in one battle of the Civil War than in all previous American wars, or that more Americans lost their lives in that war than in all subsequent wars of the nation goes unnoticed. Similar indifference in the national guilt market greets historic atrocities of one minority race against another. AMERICANS EVIDENTLY HAVE some special problems of a self-destructive nature in dealing with national guilt. If so, it is for no lack of guilt in the national and pre-national experience. The conquest of a continent, the dispossession and subjection of its natives, the exploitation of imported African slaves, the imposition of our will on other races and nations abroad, and the establishment of a brief Pax Americana by the world’s most powerful nation are not exploits brought off without the incurring of guilt—impressive amounts of it. No intelligent citizen can have escaped awareness of this at some time. Still draped in legends of national infancy, myths of innocence, success, invincibility, and righteousness, however, we were caught short a decade or more ago at the climax of our mythic national pretensions and exposed in deeds and failures that mocked all the old myths. It was then that the obsession with guilt took hold. Other nations with bloodier disgraces on their heads— Germany and her death camps; France and her Vichy and her Algeria; Japan and her imperial conquests; not to mention Russia and China with their multimillions of domestic victims–all seemed to manage recovery without excesses of self-detestation or self-revilement. It is a Freudian truism I will not presume to attest that the problem of guilt is as much within the heart as within the act. Guilt looks inward. Psychoanalysts suggest that when a person inflicts punishment on himself, he should engage in historical recollection or exploration of the past to bring to consciousness and acceptance the cause of the guilt feelings. Presumably the same could be said of societies. We are also told on good authority that no one develops a sense of guilt without a punitive parent image—real or projectively imagined. We are guilty because we have not lived up to high standards represented by our parents. Or so we are told. Neither the old myth of innocence nor the self-therapy of historic or collective guilt has proved to be of much help to Americans with their problems. The sudden shift from the one extreme to the other may well portend a reaction in the opposite direction—and there are already some ominous signs of such a reaction. The incumbent President and the opinion polls assure us that Americans have made a sudden recovery from their malaise, restored their self-esteem and self-confidence, and now face the future and a skeptical world with old-time assurance. An aggressive foreign policy and bold commitments around the world indicate that changes have indeed taken place—whether the result of restored confidence or not. They suggest that the national conscience is preparing to take on new and unpredictable burdens. If this means a swing back to the old myths, a return to fatuous complaceny and self-righteousness, it is not likely to produce a salutary balance in the American conscience. It might even contrive a spurious absolution of the very real guilt that so recently precipitated the obsession, and cover with a mantle of counterfeit innocence the perpetrators themselves. That would be an ironic outcome, indeed. Both the old myth of innocence and the obsession with its opposite would nevertheless seem destined to abide with us. They are deeply embedded in our tradition and in our literature. Perhaps the most profound and, to me, the most moving treatment of them in American letters is that of Robert Penn Warren in Brother to Dragons. You may recall that the subject of the dramatic dialogue of this book is the inhuman murder of a slave committed by two of Thomas Jefferson's nephews at their home in Jefferson's golden land of hope, the West. The crime is a matter of historical record. 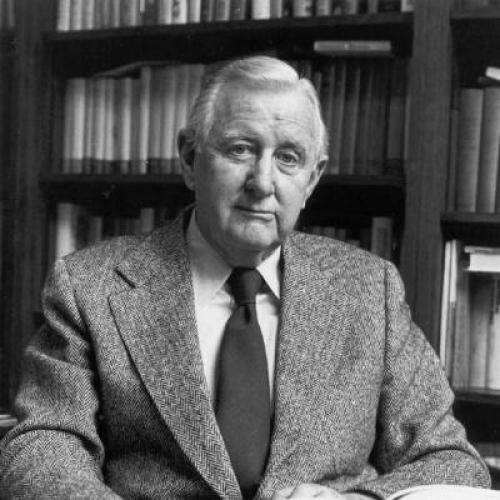 “Historical sense and poetic sense,” writes Warren in his foreword to the poem, “should not, in the end, be contradictory, for if poetry is the little myth we make, history is the big myth we live, and in our living, constantly remake.” In his extensively revised edition of Brother to Dragons in 1979, the author has Lucy, the sister of Thomas Jefferson and mother of his criminal nephews, say to Jefferson: “Dear Brother, the burden of innocence is heavier than the burden of guilt.” But the poet goes on to make it evident that the latter burden is by no means a light one, for all that.